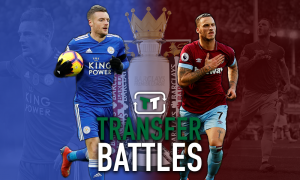 Video: Big Liverpool move exposed flop and sadly ruined his career - Opinion | The Transfer Tavern | News, breakdown and analysis on all things football! If you cast your mind back to the 2014-15 Premier League season, Christian Benteke was hot property. The striker hit 13 Premier League goals over the course of the season, his third season consecutively scoring over ten Premier League goals. At the end of that season, a move to Liverpool saw things all go badly wrong for the striker. In 2015, Liverpool signed the striker for a fee of £32.5m, which at the time made Benteke the second most expensive signing in the club’s history, behind the £35m transfer of Andy Carroll. This was the transfer which was to ruin his career which had thus far only gone from strength to strength. Ever since his move to the Villains from Belgian top-flight side Genk in 2012, the Belgian was in fine form for Aston Villa. Playing in a front-two alongside Andreas Weimann, Benteke was a physical presence, particularly good in the air, but also a capable player with his feet. In his first season with the Birmingham-based club, he netted 19 Premier League goals. Northern Irish boss Brendan Rodgers signed the striker for the Anfield outfit perhaps believing he could add a new dynamic to the way Liverpool played. A club with a reputation, even then, for playing good football on the floor, had signed a towering 6ft 3′ target man better suited to a more airborne style of play. 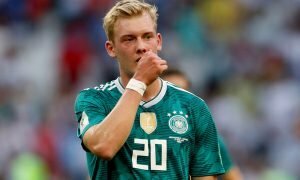 Whether he was going to fit into the Liverpool system was discussed almost immediately upon his arrival at the club. 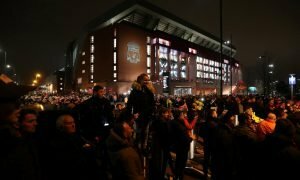 Similarities to the failed signing of Andy Carroll were drawn by the press, with it being doubted that he could fit the Liverpool system under Rodgers, considering his style of play. Comparisons to the signing of Geordie Andy Carroll were not too unfair, after the now West Ham man arrived at Liverpool in 2011 off the back of two good seasons in the North-East for his hometown club. Like Benteke, Carroll was a big unit who was dominant in the air, and had been playing at a club far below Liverpool in stature. As it turned out, the press were correct in their questioning of the £32.5m signing, which, at the time, was a very considerable fee. Things were not entirely sour from the get-go at Liverpool, with the Belgian scoring an eye-catching overhead kick at Old Trafford for Liverpool in a 3-1 loss to Manchester United evidence to many he had the talent to go on and have a good career at the club. However, by December the striker was suffering plenty of criticism. His movement was criticised as not being good enough for a club with the ambitions of Liverpool, and considering the amount of chances being created for him, his goal scoring record was poor. By the end of the season, he had been firmly relegated to a place on the bench. No longer was he one of the hottest properties in the Premier League, he had just proven he could not cut it at a club the size of Liverpool, and had proven that he was a much more one-dimensional player than Brendan Rodgers had hoped for upon signing the player. The transfer severely lowered his stock in the footballing world, and a move away from Anfield seemed inevitable. Many Liverpool fans will have been relieved that the club managed to recoup a large amount of the fee they spent on the player that following summer, when South London outfit Crystal Palace snapped him up for a club-record fee of £27m. This signing signalled that a club recently promoted to the Premier League was a more suitable fit for the target man, than a club with ambitions of winning the Premier League. His first season was not a total disaster for the Eagles, netting a solid fifteen goals, being efficient if unspectacular. However, his downturn was to be completed last season. 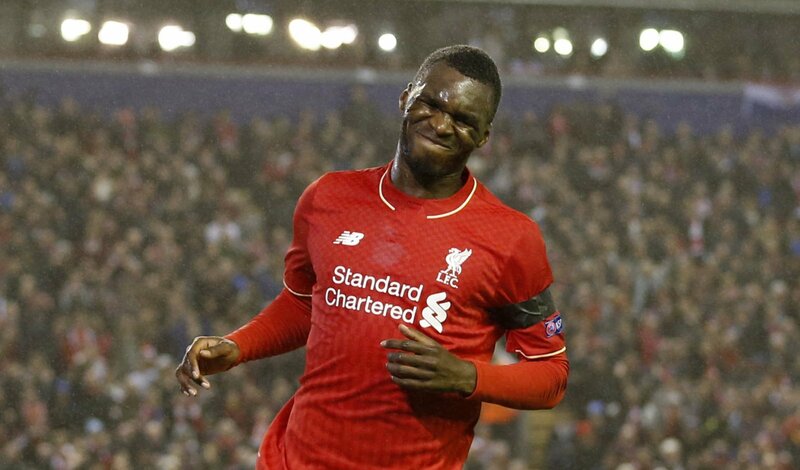 Last season can only be described as a disaster for the now 27-year-old Benteke. He netted a paltry three Premier League goals, and ended the season on the bench as Roy Hodgson favoured playing Wilfried Zaha and Andros Townsend up-top as an unconventional front-two. With 20 big chances missed, this put him second highest in every Premier League player for this statistic, highlighting how poor he had been in front of goal. His confidence at an all-time low, his transition from hero to zero had been completed. Benteke will surely rue the day he signed forms at Anfield, seeing how his career has panned out from that day onwards.